You may want to join the Home School Legal Defense Association if you homeschool your children or are thinking about homeschooling them. Although most homeschoolers I know personally have never encountered legal trouble, it is always a good idea to have a back up plan in case you ever find yourself in a sticky situation. Attorneys from the Homeschool Legal Defense Association come to the aid of members who encounter conflict with officials who attempt to interfere with homeschooling. The ability to homeschool our children is our legal right, and HSLDA attorneys are there for their members every step of the way to help protect that right. HSLDA was founded by Michael Farris and Mike Smith in 1983. At that time, homeschooling was not a popular option for educating children. Because homeschooling was so rare, HSLDA started out with just a few member families. 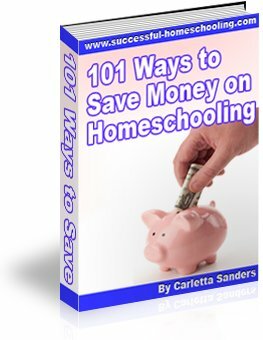 Gradually, more and more home school families elected to join the organization. Within only one year, the two men found it necessary to get a real office, as well as a full-time staff. Since it's founding, the association has grown to a staff of nine attorneys, all of whom are fathers whose wives homeschool their children! Protecting the rights of other homeschooling families is near and dear to the their hearts. Membership with HSLDA is quite affordable. For the amount it might cost you to seek counsel with an attorney for one hour, the association will give you an entire year's worth of legal protection! Should you ever have to go to court due a legal issue that threatens your freedom to homeschool, the attorneys will represent you with no additional charges other than the initial membership fee. Fortunately, these attorneys can typically resolve the situation without having to go to court. In addition to providing legal protection, membership with the Home School Legal Defense Association offers other benefits. For starters, you can get a great discount on high quality homeschooling materials through their Online Curriculum Market. Also, as a HSLDA member, you will receive a bimonthly newsletter that will keep you up to date on the latest happenings in the world of homeschooling, particularly when it comes to legal issues. For more information or to purchase a membership, visit the Home School Legal Defense Association's website at www.hslda.org.